MANILA – Traffic-weary mothers who need diapers and toiletries for their babies are helping drive online retail as e-commerce pioneers like Lazada seek to convince more mall-loving Filipinos to go digital, its CEO said. Diapers are “really big” business, challenging other best-sellers like mobile phones, 3D goggles and hoverboards, said Lazada boss Inanc Balci. The online marketplace controlled by Chinese e-commerce giant Alibaba sells diapers at the cheapest price, he said. “For mothers, it’s a no-brainer,” Balci told ABS-CBN News at the company’s headquarters in Fort Bonifacio. Busy mothers, he said, would rather spend time at home with their babies than run grocery errands. Infants comprise 10 percent of the population. According to government data, some 10 million Filipinos are below 5 years old. 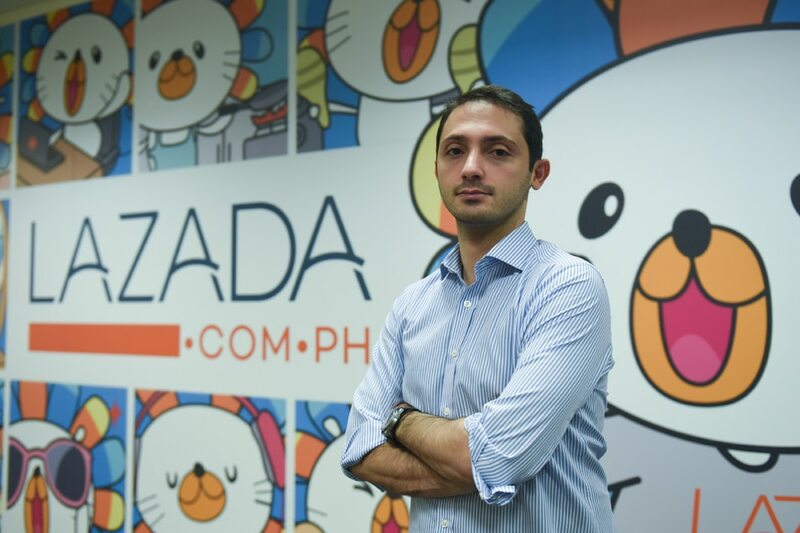 Balci said “there is a huge way to grow” for Lazada in the Philippines, where 10 million people, or roughly a tenth of the population, transact through online channels, notwithstanding low credit card penetration. Groceries, including baby diapers, are among 3 new categories in the Lazada marketplace. The company also recently started selling pet supplies and digital goods, which include mobile phone load and vouchers. “If you look at Filipinos, this used to be the SMS capital of the world, now the Facebook capital of the world, This sort of gives you the huge potential in the country,” said the Turkish-born 32-year-old. Lazada offers 25 million products both from established brands like Samsung and HTC to those from small businessmen. It charges a standard 2 to 10 percent commission per sale regardless of merchant size, helping level the playing field, Balci said. It has 2 giant warehouses, one in Cebu and another in Laguna, a 30,000-square meter facility whose capacity the company plans to double. Balci said the company had plans to build a third warehouse in Mindanao. Roughly 60 percent of orders are from outside Metro Manila and some 75 percent prefer cash on delivery, he said. Aside from offering more payment options, Balci said Lazada invested in its own logistics system to grow the business, Balci said. Lazada Express is now the country’s second largest in terms of capacity, he said. “This was the only way for us to scale. It’s more affordable for us and we have full control of the customer experience. Everyday, we pick up tens of thousands of packages,” he said. “It was very difficult to resolve many pain points,” Balci said, recalling Lazada’s early years. Some in far-flung areas have no formal address, but Lazada still finds ways to deliver their orders, he said. For densely populated areas, Balci said Lazada would soon deploy electronic delivery bikes. Balci acknowledged that a “trust issue” with online retail in the Philippines, which the company is addressing with a return and refund policy. “We are very customer-friendly. If you buy, you are covered, we guarantee that everything is authentic brand new and up to quality,” he said. Lazada is holding its annual 3-day sale in November. Past sale events offered products for as low as P4. “If we provide them good prices they become lifelong users,” Balci said.